It's not just the animals, it's how they are managed. Aaron grew up climbing through the forests, crawling through the sloughs and exploring the diverse grasslands and coastal beauty of Marin County. 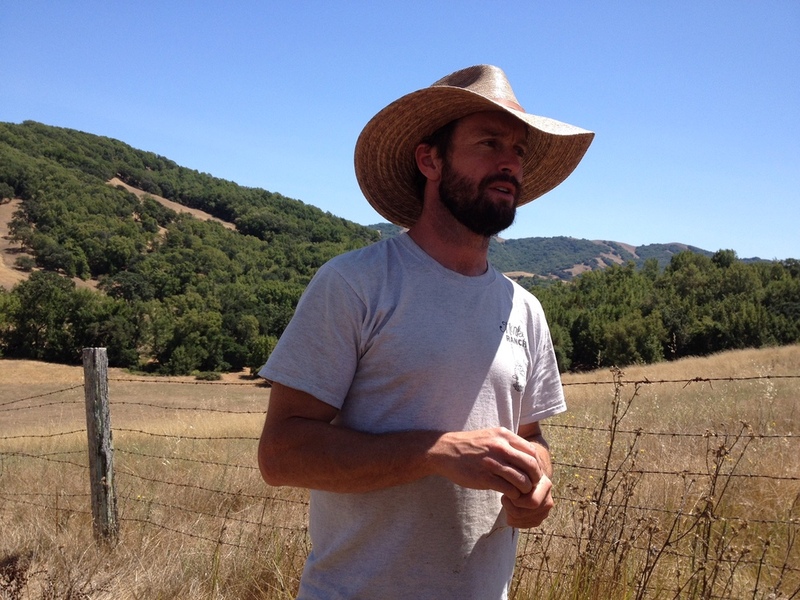 Although he draws his land stewardship experience from years of living and working in agriculture around the world, there is no place that he knows more intimately than the variety of ecosystems native to Sonoma and Marin that he calls home. He received a B.S. in Environmental Studies from UCSB in 2006 where he also started his first agricultural endeavors, The Department of Public Worms, a vermi-composting cooperative; and Students of the Land, a student-operated row crop operation. To supplement his agricultural activities and connect directly to the consumers, Aaron studied to become a "salumiere," in Italy, capable of harvesting and processing animals to produce an array of sausage, prosciutti and other traditionally preserved meat products. For the past five+ years he has lived and worked at Monkey Ranch in the outskirts of Petaluma where he has managed flocks of chickens and sheep to slowly but surely build the soil and biodiversity of the grasslands. Rowdy little squirt from our good friends the Magruders in Mendocino. Isha is a McNabb Border Collie X Kelpie who comes from a long line of working dogs. She is well on the way to becoming an invaluable assistant in the humane management of grazing animals. The real work horses of this collaborative system are the living organisms of the underground ecology. From fungi to nematodes, worms to bacteria, the number and complexity of interactions is beyond the grasp of modern science but we aspire to support the whole bag of them as they work to build the soil that supports all terrestrial life.